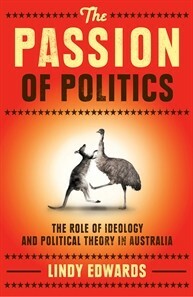 ‘What should I believe in?” That was the question that prompted me to begin writing The Passion of Politics. I remember I had the first inkling of the book wandering past the reflections pool in Parliament House carrying the contents of my desk in a cardboard box. In my time in Parliament House I had been struck that no one on the progressive side of politics knew what we were trying to achieve. We were all using the same analytical tools and paradigms to analyse problems as the right, and not surprisingly they were spitting out the same answers. It seemed to me that progressives often knew what we were against, but not what we were fighting for. I wanted to go away and work out what the crux of modern progressive politics was, and whether after everything I had seen, I still believed in it. I don’t agree with the end of ideology advocates who argue there are no differences between left and right any more. To me, progressives have a different gut feel about the best way to do things, and the kind of society we should be aiming for. But as class conflict got mixed in with the liberation politics of race and gender, and then the Berlin wall came tumbling down, we don’t have words for that feeling anymore. There is no longer a clear conceptual heart of modern progressive politics. My goal was to put words around that gut feeling. To see if those words made sense in the cold light of day. And whether the ideas really worked in practice. My approach was two fold. First, I set out to take a tour of the great political thinkers and to identify that common core that unites progressive politics. Second I set out to explore how the ideas worked in practice by looking at Australian history. The ideas had radically transformed Australia when they first became powerful, and I wanted to see how the experiments had worked out. The result is a rip-snorting ride through the biggest ideas in political thought and the greatest controversies and dramas of Australian political history. I have to admit that before I began this journey I didn’t know very much about Australian political history. My knowledge only went back to about 1970. But when I started researching it, I couldn’t believe how many great battles, enormous personalities and ripper yarns there were. The history is great fun. But it also serves the purpose of bringing the ideas down to earth and demonstrating what they mean in the real world. This book is written to make the biggest ideas in political thought accessible to everyone. Political theorists often lose their heads up their bottoms, and shut everyone out of the conversation. Personally, I am with Einstein when he said that if you cannot explain it clearly you don’t understand it well enough. In making these ideas accessible to everyone I am hoping to keep some of the most important ideas in progressive politics alive. Their insights are life changing, but they are at risk of getting lost in academics obscurity competitions. This book aims to bring them back out into public debate. In these dark days this book is a rich and exciting journey that demonstrates how important great ideas and high aspirations have been in shaping our nation. It also provides food for thought as we think about the future. It puts progressive ideas through some tough hoops, and not everything it reveals is comfortable. But it provides the essential foundation for thinking about what exactly we should be fighting for.